If you’re a cat owner or you’ve ever spent any real time around felines, you know how aloof they can be at times. They’re far more independent than their canine counterparts in the domesticated pet world. Sure, they can be friendly and cuddly just like dogs, but only when it suits them. Cats are more of an on-their-own-terms kind of pet. To dog owners used to utter devotion they can come across as a complete, head-scratching mystery. Now, though, somebody has come along to clear everything up for us. Recently, noted veterinarian Dr. Gary Weitzman, head of the San Diego Humane Society and SPCA, wrote a book entitled How to Speak Cat. If you’re wondering what his qualifications for the project were besides being a veterinary doctor, he’s used to answering questions regarding felines from his time as the host of a call-in radio show about pets and their problems. He’s also written a book entitled How to Speak Dog for National Geographic books, so it seemed perfectly natural for him to follow up with a feline edition. 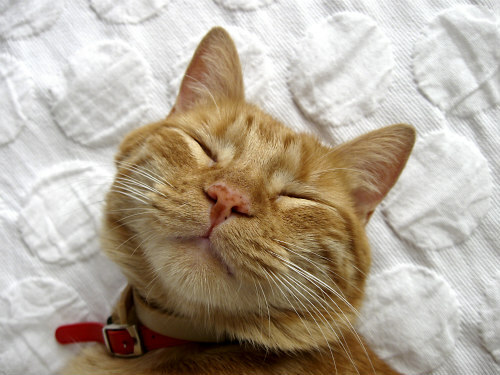 Feline Personalities: What's your cat like? During an interview with National Geographic in honor of Big Cat Week, Dr. Weitzman was asked if he had learned anything new while writing on the subject of cats. While he enumerated a handful of what he called “basic facts” he’d learned like data on the world’s oldest cat during his research for the book, he also discovered that scientists believe cats possibly respond better to females, because women have higher-pitched voices than men. Cats can also see in the dark six times better than humans. 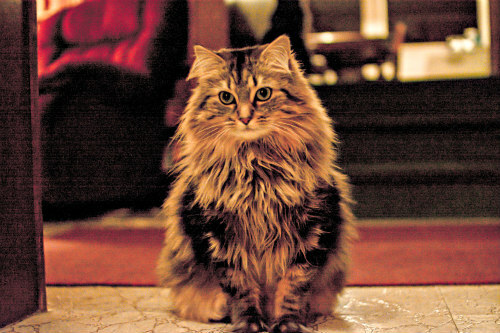 Dr. Weitzman also made a startling discovery in connection to a cat’s appearance and its personality. The feeling among animal behaviorists is that the color of a cat’s coat colors their behavior. When asked, he made the following observations that tortoiseshell cats (torties) can be very independent, pushy about what they want and usually prefer just one person. 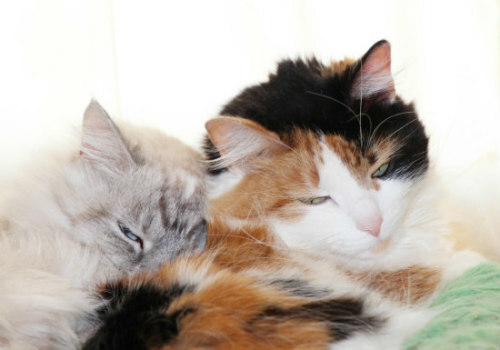 Torties, calicos and Abyssinian cats all have links between their coat color and personality. Orange tabbies were noted to be the most gregarious. When asked how similar the average house cat is to its wild ancestors, the answer was not all surprising: they’re actually very similar. Domestic cats have apparently only been around half the amount of time as canines, so you can see much of the same behavior among lions, tigers and other big cats as you do among domestic cats. They’re still part wild, which accounts for their stalking, hunting and other primal behavior. Domestic cats in stable homes may be fed daily in sufficient quantities, but they still go on the hunt, nonetheless. It just hasn’t been bred out of them yet. 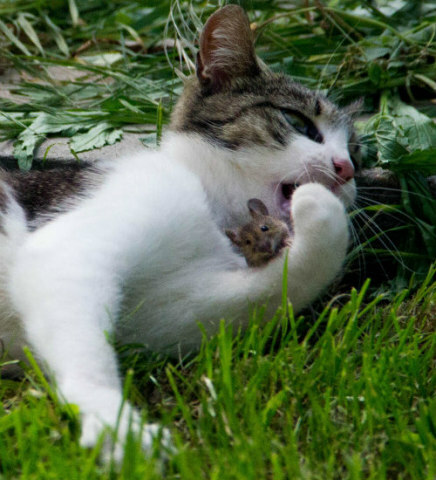 If you’re wondering about their domestication and how it took place, it’s believed that cats may have followed rats into domesticity. We do know for a fact that they were highly revered by the Egyptians thousands of years ago. And, in modern times, while slightly more people own dogs than cats, domestic cats are undoubtedly the King of the jungle when it comes to the Internet. You can find out more about them in Dr. Weitzman’s new book.